David works in the medium of porcelain paper clay and stoneware; hand building figurative sculpture and vessels from sheets of clay. Formed by an innovative technique entirely his own, his work is highlighted with touches of glaze, precious lustres and metallic oxides. David’s work is based around the female form and the different contexts in which it is viewed. with the added notion of saints, deities and folklore and what they represent culturally. His work is designed as innately spiritual with religious overtones. 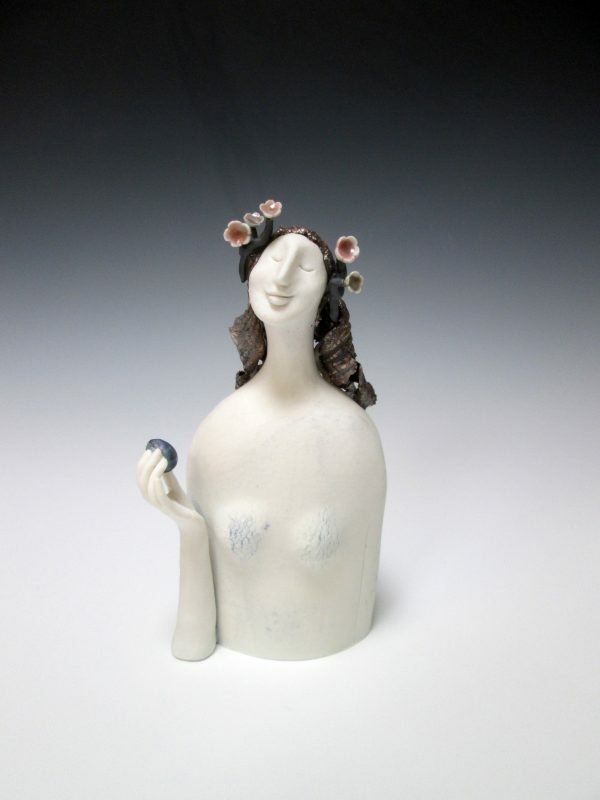 David has taken inspiration from English porcelain figures of the Eighteenth Century, Chinese Han Dynasty tomb figures, Romanesque and Gothic art, and the work of Gwen John, Jessie Marion King and Margaret Macdonald Mackintosh as well as historical and contemporary fashion. Fairy tales and folklore are also strong sources of ideas.